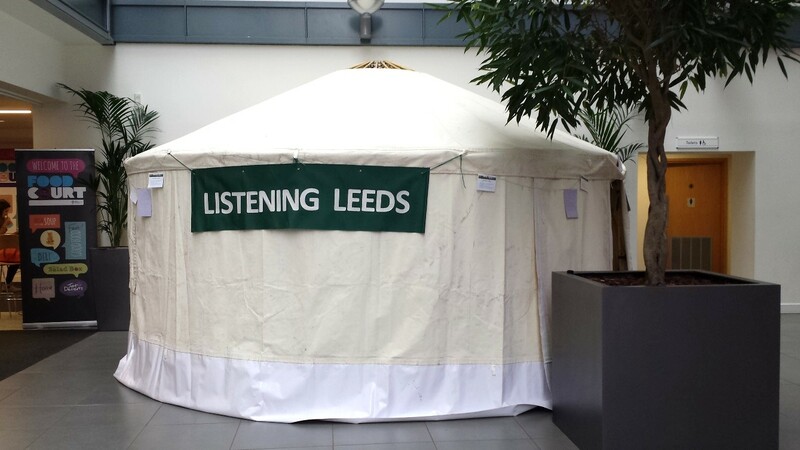 A Listening Yurt was assembled in the Rosebowl on 2nd April. People were invited to take five minutes out of their day to be quiet and think about Leeds, and then a member of the team would listen to their perspective. A range of people engaged with the listening process, including students and staff from City Hall, and the Lord and Lady Mayor were passing. Their responses were positive and thoughtful, and a written report is available.